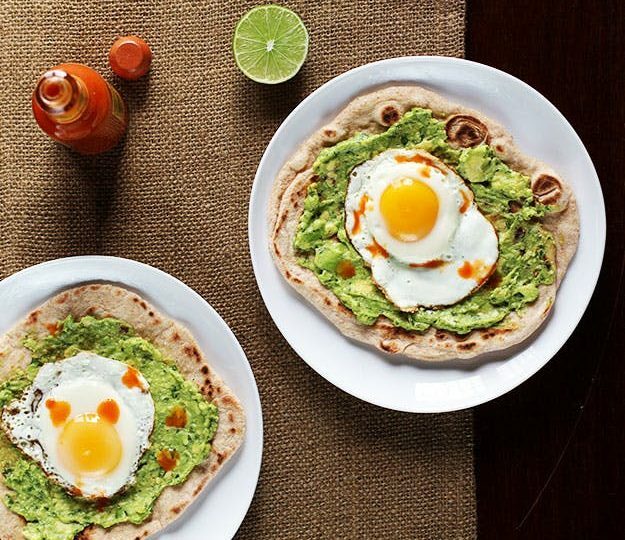 This recipe combines three very interesting ingredients together–avocado, eggs and tortillas (flat bread)–to make a fine breakfast for the family. It’s the perfect time to try this healthy breakfast pizza now that avocados are relatively easy to find. Cut the avocado in half lengthwise, remove the pit and, with a large spoon, scoop the flesh into a medium bowl. Add the parsley, lime juice and salt. Mash with a fork until smooth, with a few chunks of avocado. Taste and adjust seasoning. Set aside. Spread 1/4 of the avocado mixture over each tortilla. Heat oil in a skillet over medium heat and fry eggs to taste and place each one on top of a pizza. Serve immediately, with or without a drizzle of hot sauce or store in an airtight container.